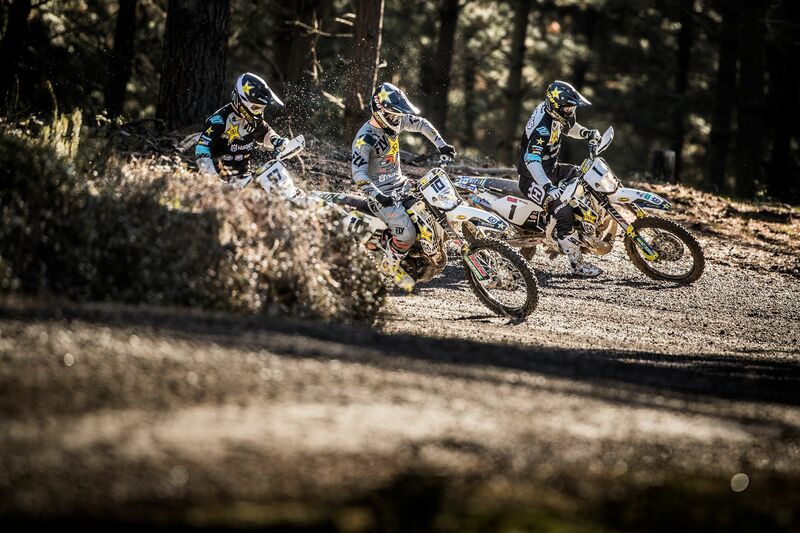 Following months of preparation, Rockstar Energy Husqvarna Factory Racing will kick off their participation in the multi-discipline World Enduro Super Series on May 11 in Portugal. Featuring an exciting mix of highly experienced and up and coming riders, at the season opening Extreme XL Lagares event the team will be represented by Graham Jarvis, Colton Haaker and Billy Bolt. With the newly established World Enduro Super Series featuring an exciting blend of enduro competitions, Rockstar Energy Husqvarna Factory Racing riders are looking forward to demonstrating their full potential in 2018. Spearheading the team’s efforts in this new series is Graham Jarvis. A three-time winner at Erzberg and Lagares and the holder of a record six victories at Romaniacs, the highly-experienced Brit will be a force to be reckoned with in 2018. In his quest for a place on the WESS podium Jarvis will be joined by Rockstar Energy Husqvarna Factory Racing’s Colton Haaker, with the two-time FIM SuperEnduro World Champion also looking forward for the 2018 WESS challenge. Fresh from a solid season of indoor enduro competition, 2018 FIM SuperEnduro World Championship runner-up Billy Bolt is set to demonstrate his technique and rapidly improving speed in the new WESS season. Working hard to return to full fitness following knee surgery, Rockstar Energy Husqvarna Factory Racing’s Alfredo Gomez will join the team later in the year. The 2018 World Enduro Super Series kicks off with the Extreme XL Lagares in Portugal on May 11/13. A three-day event featuring an EnduroCross race on Friday, a city Prologue on Saturday and a main hard enduro event on Sunday, the Extreme XL Lagares will be the perfect start to what’s expected to be an exciting season of WESS racing.